As a Turkish Christian, Ender Peker is used to facing hostility from religious Muslims, particularly because he lives in Turkey’s conservative southeast. So he was shocked last fall when an imam asked him to take over food distribution at a nearby refugee camp. “He said to me, ‘I want you to talk to them and distribute food to them.’ He was glad to give me this responsibility,” Peker told World Watch Monitor. 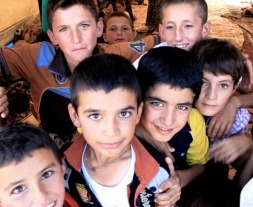 The “them” the imam referred to are Iraqi Yazidis. As a monotheistic religion that includes elements of ancient Iranian religions, Christianity and Islam, Yazidis are so unorthodox that most Muslims have traditionally derided them as “devil worshippers.” So when, along with other Iraqis fleeing Islamic State attacks, traumatized Yazidis escaped to Turkey last summer in the thousands, they were afraid to live among Iraqi Muslims in refugee camps set up by the Turkish national government. So the Diyarbakir Protestant Church stepped in to help the Yazidis soon after they arrived, many living in a city park. The local government placed others in empty schools or municipal buildings. Church members visited them, donating blankets and food. In August the Church helped the local government establish the first Yazidi refugee camp in a former airplane hangar. Members donated 50 large tents that had been used for its summer church camps. “They thought we would come to offer aid, but then leave just as quickly. We stayed. They complimented us, that we did what we said we would do,” Peker said. Peker is one of a group of foreign and Turkish Christians providing substantial, ongoing aid to Yazidis. Nearly all their relief efforts are channeled through Diyarbakir Protestant Church, a hub for evangelical Christianity in the region. Led by Pastor Ahmet Guvener, the church has helped raise hundreds of thousands of dollars from Turkish and foreign churches to help refugees. Yazidis initially rebuffed help from government workers in Turkey, due to their lingering trauma from Islamic State attacks. In July 2014 the IS jihadists attacked their historical home of Mt. Sinjar in northern Iraq, where thousands of Iraqi men, women and children of the Yazidi religion have been killed, raped and enslaved. The extremists regard Yazidis as infidels who, according to Islamic law, should be killed. “Because of the pain they suffered, they are afraid of us. They consider somebody who calls himself a Muslim to be a butcher,” Davut Kesen, a government refugee relief coordinator, told World Watch Monitor. One Yazidi camp in Silopi, housing a few hundred refugee families, is located next to a mosque. Aware of the sensitivities, the local government told the imam not to announce the call to prayer from the mosque, out of consideration for the camp dwellers. The Turkish Christians had problems when they first approached the Yazidis, who barely spoke to any government relief worker beyond the necessary minimum. The Diyarbakir church continues to serve the 30,000 Yazidis who have settled in southeastern Turkey. 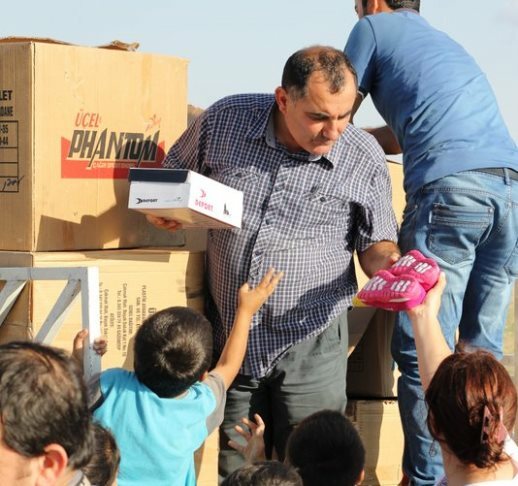 It has also been able to provide food, clothes, shelter, house utilities, and other forms of aid to Kurdish Muslim families who fled the Syrian city of Kobani. Through these relief efforts, doors have opened for Church members to improve their relations with officials in the region. Local government leaders told them they are “deeply grateful” for the help of the church, said Ricardo Pessoa, a volunteer for the refugee relief ministry. The mayors of nearby Kocaköy and Silvan began to work closely with the Christian community. A foreign group of Christians were allowed to teach English lessons in Kocaköy’s state-run high school and even share about their faith, an act rarely tolerated in Turkey. The mayors have even made several courtesy visits to the Diyarbakir church. From last August to January this year, the Diyarbakir church has delivered literally tons of food to refugees, including over 30,000 kilograms of rice, lentils, dried beans, and vegetables. They have also provided thousands of clothing articles for men, women and children. 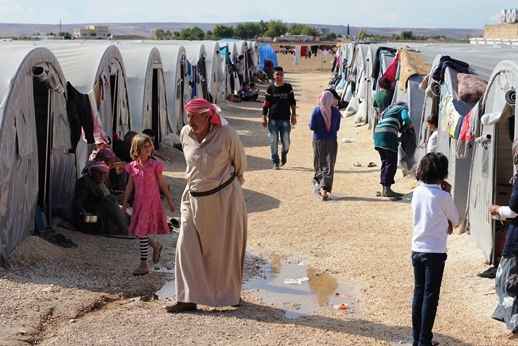 Church members also visit camps near the village of Suruç, near the Syrian border. More than 120,000 refugees live in this region alone. 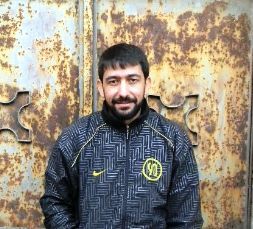 Guvener, a convert from Islam, oversees a church that is small by Western standards but enormous by Turkish Protestant standards, where the average congregation is 20-30. Most are former Muslims. Diyarbakir Protestant Church is located in the city’s historically Christian district of Lalebey. The narrow, brick-lined streets make car travel all but impossible. It sits directly across from the Syriac Orthodox community’s Virgin Mary Church. Guvener keeps a good friendship with the local priest, Fr. Yusuf Akbulut. From 2011 to 2013 at least six other foreign-born Christian families living in southeast Turkey were deported or denied renewals of their residency permits with no reason cited.